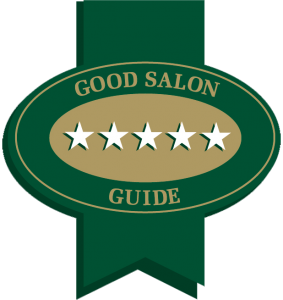 There are so many hair salons York has to offer…. There are many hair salons York has to offer but this award winning five star, elegant and contemporary salon, situated in Gillygate, the city centre of York, England has been rated No.1 Salon in York by ThreeBestRated , 5 stars with the Good Salon guide , 5 stars with treat well and 5 stars with Facebook . See Shows and Awards for an insight into the continued success of the RC team. We opened our doors 10 years ago in 2008 and we would love to thank all our amazing Clients that have supported us through the years! Ross Charles a BHA finalist for a second year in a row. Ross is one of 6 finalists out of the whole of the U.K to get to this incredible achievement. The collection will be first seen in the British Hairdressing Awards Gallery in London in October and finally inspire hairdressers globally for the forthcoming year in mens hair fashion. Ross Charles and his award winning team of expert Hairdressers, Colourists and Barbers make sure you have the latest, suitable techniques and ideas to your needs. Their investment to constantly improving and being innovative in hair fashion brings light and freshness to your styles may it be a continuation on a theme or a complete restyle the team are always motivated and excited to work with your hair. Ross as a finalist in the British Hairdressing Awards for north East Hairdresser of the year is reaching fantastic levels in the British Hairdressing industry which is considered to be the best in the world. We are currently 1 of 6 U.K finalists for the Salon Business Awards as Best Local Salon 2017 ! Ross won the week of 17th March 2017 for the worlds largest weekly hairdressing competition, his work was admired and inspired over 800,000 people according to Bang-style Supremes in the USA. This is also the second time he has won it as the first time was back in 2015. Rubén the Senior Stylist has won a Gold medal for the Britain’s Best Blow-dry. He used his famous Spanish blow-dry technique called the Wabey Blow-dry. Everyone goes crazy for his amazing finishing skills. They are so passionate about the quality of your hair that they will analyse it carefully and give you tips and recommendations on hair care. They believe that if they can get the material that they are working with (your hair) to be optimum then the possibilities of you having exactly what you want from your hair are nearer than ever before. For some fantastic haircare products follow this link here . Ross Charles often uploads hair advise video’s on to Youtube, please have a look at this one for a start. Having the right advise on your daily hair routine at home will first of all help you choose the right product but furthermore show you how to use it correctly. Offering Hairdressing to both Men and Women. 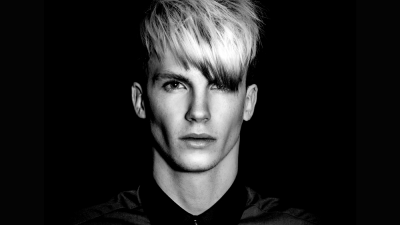 The unisex hairstylists use the most recent and technical skill to create your hair style. They are highly skilled and have level 3 or a L’Oréal Colour Specialist degree therefore many years of industry experience. Furthermore the Ross Charles team continually feature the work in most industry and consumer magazines consequently adding their personal touch to the future of hairdressing fashion. 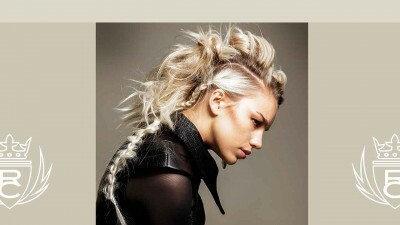 Please see this link for their prices Female and Male Hairdressing Prices . Very keen to helping the Ross Charles Customers informed to How To Style Their Hair a YouTube Chanel provides videos often uploaded to give an in-sight to how to do hair at home. Follow this link and have a look here. It is furnished with stylish furniture from Sicily. The red and silver cutting chairs reflect he silver service of hairdressing that Ross Charles hair salons York deliver to their clients, they are hand crafted in Catania (Sicily) and are made by the same company that were making the chairs for Hollywood back in the early days. Since the beginning of the XXth Century, Hairdressing and barber chairs were built in Catania, Sicily and became important in the ateliers of the most well know hairstylists and make-up artists. Especially true in the world of the Italian-American fashion and movie making industries. The design team chose red as the corporate colour, they created an extremely stunning and eye-catching appearance and to create a minimalist look, the reception area has see-through Ghost chairs and coffee table from Milan, designed by the famous designer Philip Starck. The hairstyling is created at our ornate Italian cast Aluminum workstations designed by the same designer as the Carusa Chairs. We would love to welcome you to Ross Charles Hair Salons York and let us get to know you and your hair to create that bond and trust that all of our existing clients experience now. Pick up the phone and Call the number at the bottom of the screen and speak to our wonderful receptionist to help you with your request to booking your appointment.